This set of bead bars is used for building the decanomial. The multiplication tables from 1 - 10 may be constructed in geometric form using the beads. 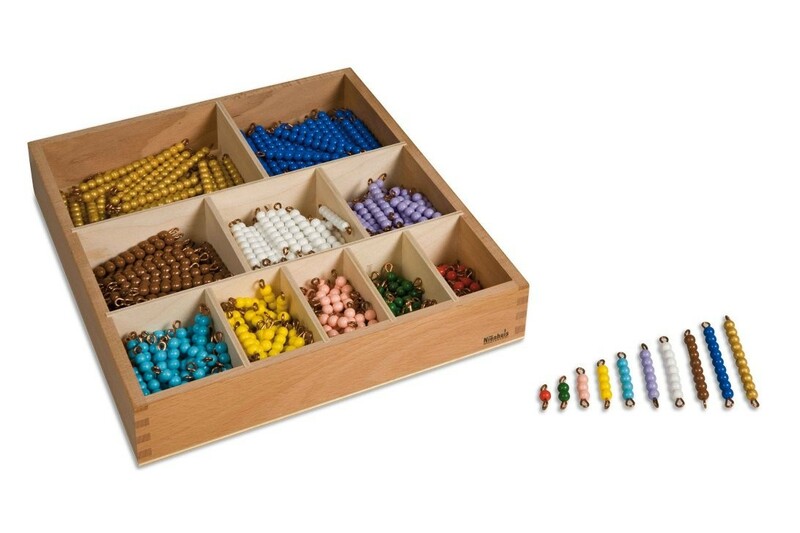 Includes 55 of each of the colored bead bars from 1-10 and a wooden box for storage.